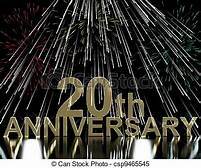 Celebrate Our 20th Anniversary Show – Still a Few Seats Left! Our 20th Anniversary show is fast approaching – this Saturday, October 27, 2018, at 7:30 pm – “Hotel California – The Music of the Eagles”, sponsored by Ameriserv! We still have a few single seats available. This normally happens because of the number of tickets that are taken by patrons in any given row. A106, C105, R108, T108, W8 (All on the Floor), and GG6 (Balcony). And that’s All Folks! Gather a bunch of friends, go to a nice dinner at one of the many great restaurants in Windber (don’t forget we have the Windber VFW next door, and the American Legion and the Windber Moose right around the corner) and then come to the Theater. This show is gonna Rock the House so you won’t need a friend to sit with!!!!! Call the Box Office Monday through Friday from 10 am to 4 pm – 814-467-9070, or go to the BUY TICKETS TAB of this website, pick the Hotel California Show Date, review the seating chart, pick your seats and then make y0ur payment. Don’t forget to print out a confirmation sheet – this acts as your ticket for the night of the show. http://arcadiawindber.com/wp-content/uploads/2018/10/20th-Anniversary-Show.jpg 168 201 Windber Arcadia Windber Arcadia2018-10-22 17:28:152018-10-22 17:37:21Celebrate Our 20th Anniversary Show - Still a Few Seats Left!